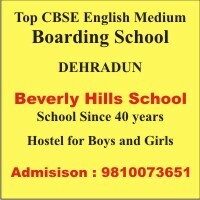 Whitehall School was established on the 10th of July 1992, in Haldwani, under the guardianship of Mr. J.S. Lal. It was observed that at Unchapul, Haldwani, where the school is situated there were no English Medium Schools to educated the local and rural population. Children from this area had to go a long distance of 10 to 12 kilometers to study therefore this concept was thought of. After speaking to the surrounding residents, this idea of starting a small school took shape. and was welcomed and supported by them. Thus in 1992 the first academic session of the school was established with an enrolment of 35 students from Nursery to Grade Two. Qualified teachers for these grades were hired and a society to run the school was formed. Since then the school has been upgraded every year and presently the classes are run up to Grade Eight. The number of teaching staff and class 1 employees were hired, according to the increase in the strength of the students. By and by after the smooth running of the institution for a few years recognition from the Anglo Indian Board, Dehradun, Uttarakhand; was sought and attained. The school has been organised co-curricular activities by way of monthly activities for students like singing, elocution, debates, swimming, drawing competition, just a minute and many other similar competitions. Students from the school have been taking part in inter school debate, swimming, volley ball and quizzes etc. and winning certain competitions. Besides, every year there are annual cultural and sports shows, exhibitions, fetes etc. organised on large scale for parents and guests.